Have been very interested in these for a number of years, but never added one to the collection. I personally like the 7.62x39 round, and at one time had a WASR 10 that I let go, as well as currently having a CMMG Mutant 47 (not much longer, however). Do any of y’all have one of them? Everything I read about them points to excellent reliability and slightly handier than standard AK variants, along with good (combat) accuracy. I’m not worried about dressing it up with every accessory known to man, except possibly a different pistol grip, stock, and a railed forearm to mount my optic (though traditional AK-style irons don’t bother me in the least). Advanced thanks to any and all replies! Moved your topic over here to the Vz58 semi auto rifle section, where I believe it will receive proper attention. I have one of the Century Vz2008/Vz58 builds and am very well pleased with it. I've accessorized it a bit. JWC, thank you and, my apologies for posting it in the wrong section! Yours looks like it has the idea(s) I’ve been considering. Must admit I’m really interested in a left-handed charging handle assembly so as to alleviate the “reach-under recharge”. There are several threads here regarding VZ58 vs AK/AR, etc. Bottom line, VZ58 has the firepower of an AK-47m, the accuracy of an SKS, the weight of an AR, and handles/points like an M1 Carbine. So a pretty unique animal. Yes, it uses proprietary mags, but those are one of its best features. VZ58 aluminum mags are robust (moreso than AR -- would put on par w/ the steel AR mags, and then likely even stronger), and they are extremely well engineered. 7.62x39 is also great self defense round in most scenarios. 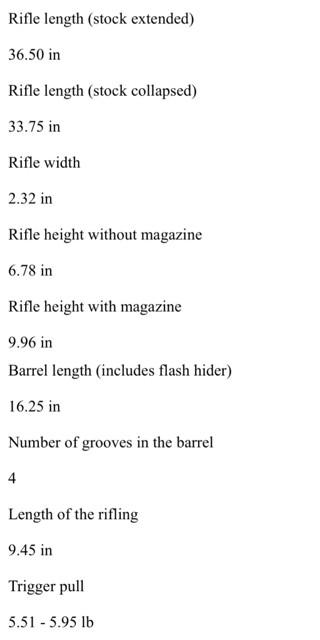 Does pretty much everything a .308 can do w/in 250-300 yards, and in some cases better -- where .308 would punch straight, 7.62x39 will tumble... Indoors, I personally like pistol carbines, but 5.56 guns are good options too. Regardless, 7.62x39 is also great for hunting using federal fusion or hornady sst rounds. You can get away w/ some of the russian soft points but wouldn't recommend unless you have to hunt/have defense from something larger than a deer, like bear, moose, etc, and this is the only gun you can carry. There are also several video reviews and other info throughout the forum and in the stickies. Let us know if you have further questions, not answered elsewhere here. RSR summed things up nicely. I have 2 Century VZ-2008s (the 3rd generation models; "VZ08PM" serial prefix) and both have run like sewing machines from day one. The VZs seem to be the one Century Arms product that everybody seems to agree that they got right from the start. However I got into them when they were $400 guns! 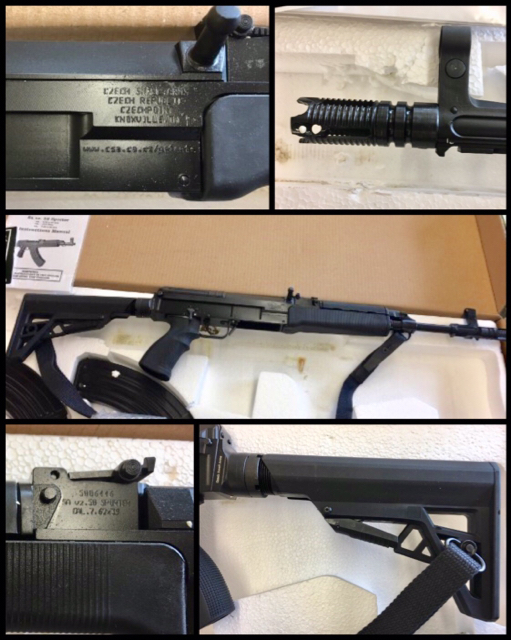 Now that most 2008s you see are in the $600 to $700 range, the extra few hundred $$ to get an original (-ish) Czech VZ-58 seems like, for some anyway, it may be the way to go. I think the quality gap between the Czech and Century guns (especially the 3rd gen guns) is a good deal narrower than some believe. I've seen several of the Czech made guns, and while they are nice, they aren't 2 or 3 times the money nice. But there are other intangibles like the much vaunted "pride of ownership", original Czech, and of course factory support, ect. that some deem important. If you can find a VZ-2008 in the $500 - $600 range with the accessories it's a no-brainer. Whichever way you go the VZ-58s in any iteration are just great guns. One of mine has been a constant companion on the farm. They're lightweight, reliable, quick handling, and powerful enough for most uses, and parts are plentiful. The light recoil due to the short-stroke piston design and relatively light reciprocating mass is actually surprising after having shot several other 7.62x39mm options, and they run cleaner than my SKSs or any AK I've fired (and I mean shockingly cleaner). Lots of boxes checked there! $700 vs $1200 is general price differential. Are CSA guns 1.7 times the gun of a VZ2008? That's the question to ask! And, as I said, I got into the VZ-2008s when they were $400 guns. It was a much easier monetary decision back then. The 2008s have proven to be a "gateway drug" for a lot of CSA owners. Thanks for all of the replies so far! Well thanks in no part to y’all bunch of enablers, after reading lots of stuff over the last couple days along with watching multiple videos, I decided to take the leap and put a little something on layaway earlier this evening. Really hoping work will pick up so I can get it paid off much sooner rather than later! Yes, it was a bit pricey compared to the VZ 2008’s I’ve looked at, but I have had my eye on this one from GB the last week, figured I better snag it before somebody else possibly did. I reckon I can start working on picking up extra mags (it only comes with two), and a lot more ammo (already have a good bit of both GT and Tula 8M3). Very very Nice! Congratulations and may it serve you well ! Good catch! Happy to enable! 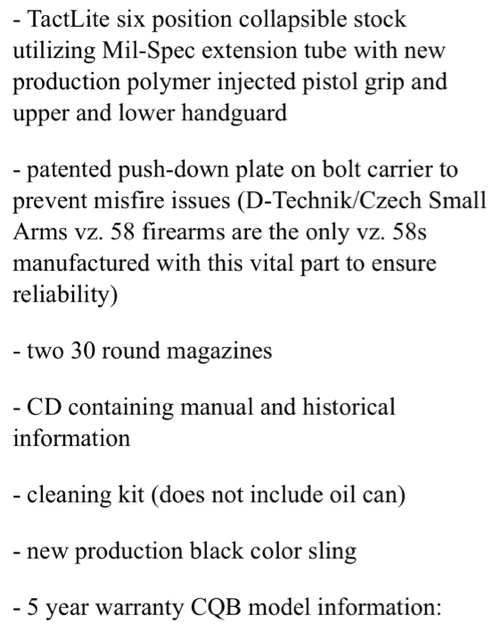 IIRC, they were $400 w/ 5 mags, 4 mag pouch, cleaning kit, sling, and bayonet. A steal! Exactly. PSA was blowing that package out for $399! And that was about the time I bought the two rifles I have locally. Calling them a steal compared to today's market is an understatement. I guess we shouldn't be too surprised; this isn't completely unprecedented. Look at the Sterling carbines that Century sold for $400 that are now nearing a grand. Cyanide -- congrats on your gun! JWC, Thin Man, and RSR, thanks!!! 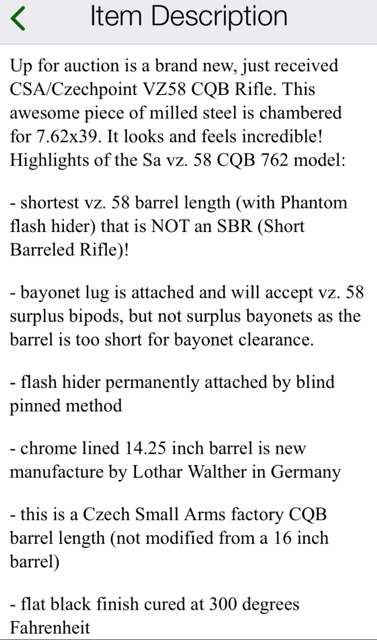 Funny thing is, the listing for this says it has the Phantom on it since supposedly a “CQB” model. Gimme a sec to screenshot the description from GB.